A backlash followed the announcement that Scarlett Johansson had been cast to portray Dante "Tex" Gill in an upcoming movie. SCARLETT JOHANSSON IS no stranger to left-wing pressure. In 2014, protesters demanded that she sever her ties to an Israeli company, SodaStream. Last year a racial interest group condemned her for playing the character Motoko in "Ghost in the Shell," a Hollywood remake of a Japanese classic. The posse came after Johansson yet again last week. Her supposed sin this time: agreeing to star in the upcoming movie "Rub & Tug," which tells the story of Dante "Tex" Gill, a brothel owner in 1970s Pittsburgh who was born female but lived as a man. The casting of Johansson triggered a backlash from transgender actors, who not only argued that the role should go to someone who personally identifies as transgender, but claimed it would be unethical and hostile to do otherwise. Typical of the criticism was a tweet from Jen Richards, a transgender activist: "Here are the rules we the Trans decided," she posted. "Until the world stops erasing/oppressing/murdering us, trans women play trans women, trans men play trans men, nonbinary people play NB people." The self-described "queer and trans" Yas Necati was even more categorical. "I don't care if Scarlett Johansson gives the performance of her life playing Gill," she wrote. "I don't care if it's beautifully acted, emotional, or even convincing. She shouldn't be playing a transgender man as a cisgender [i.e., conventional] woman." This may pass for sophistication in Hollywood and other lefty precincts. It strikes me as pernicious nonsense. To begin with, it denies the legitimacy of acting as a profession. Actors make believe. They portray characters who they aren't, and the more gifted and perceptive the actor, the more penetrating and meaningful the portrayal. In past films, Johansson has played a 17th-century Dutch servant, a high-school dropout, a drug mule who develops psychokinetic powers, and an extraterrestrial in human form. If Johansson's real identity didn't disqualify her for those roles, why should it disqualify her from the role of Gill? To act is by definition to pretend — to pretend to be severely deformed, to be a Mafia don, to be the queen of England, to be a paralyzed mathematical genius. 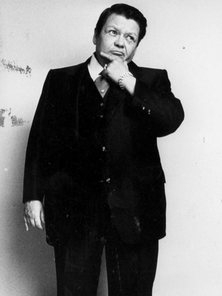 Dante "Tex" Gill, a gangster and brothel owner in 1970s Pittsburgh, was born female but lived as a man. The demand that only transgender actors be cast in transgender roles is similar to the demand that only nonwhite actors be cast in nonwhite roles, and vice versa. The late playwright August Wilson, whose work chronicled the black experience in America, vehemently pressed that view in a series of high-profile clashes 20 years ago with Robert Brustein, the renowned drama critic and founder of the American Repertory Theater. Wilson argued that black actors should never appear on stage except in black roles (and, for that matter, that women should never play men). Brustein passionately rejected such separatism. The deepest purpose of drama, he said, was to illuminate "the workings of the human soul, which has no color." Happily, Wilson's view hasn't prevailed. Some of the most memorable performances in modern times have been explicitly colorblind. To cite only a single illustrious example, think of Lin-Manuel Miranda's "Hamilton," with its cast of nonwhite Founding Fathers. Catholic roles do not automatically go to Catholic actors. You don't have to be an immigrant in real life to play an immigrant in a film. Gay actors are not restricted to gay parts. Great actors transcend their demographic categories. It would be folly to demand that casting decisions be rigidly confined within them. The last thing transgender actors should want is a rule restricting them to a ghetto of transgender roles. Under pressure, Johansson has withdrawn from "Rub & Tug." Now it isn't clear the movie will even be made. The protesters may have ensured not only that Gill won't be played by a non-transgender woman — but that his life won't be depicted by anyone at all.